This is my 2nd time cooking this longan drink and of course many more times to come :) I have made some changes to suite my family liking. 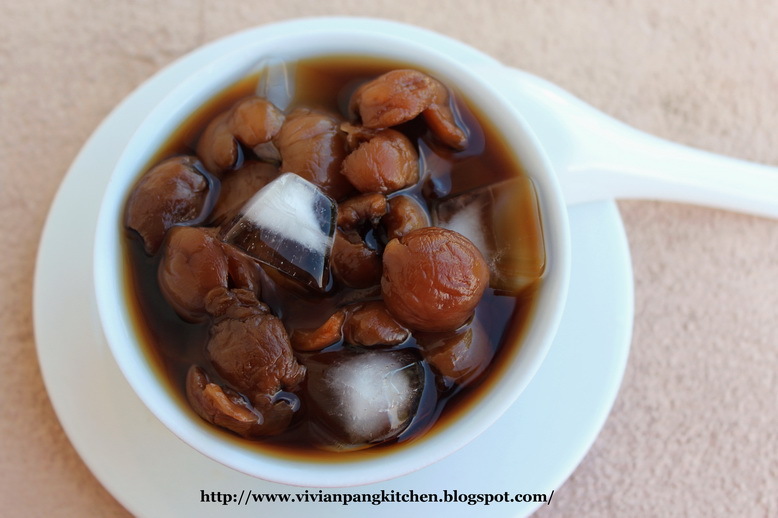 I reduce the amount of lohanguo and longan flesh as I found that the 1st time longan drink is too thick and concentrate. I'm using electric cooker for my longan drink. So after hours of cooking the amount of liquid not much reduced. However the longan drink still flavourful and concentrate. Here is the recipe. 1. Scrub the skin of the wintermelon and discard the seeds. Cut the wintermelon into large chunks, skin on. 2. Bring to a boil with water and lower to a simmer for 2 hours, lid on. 3. Place lohanguo in between your palms and crack them. Put them into the pot and simmer for another hour. 4. Strain the infusion, add in rock sugar and dark longan flesh. Simmer for 10 minutes, turn off the heat. Let it cool totally. 5. 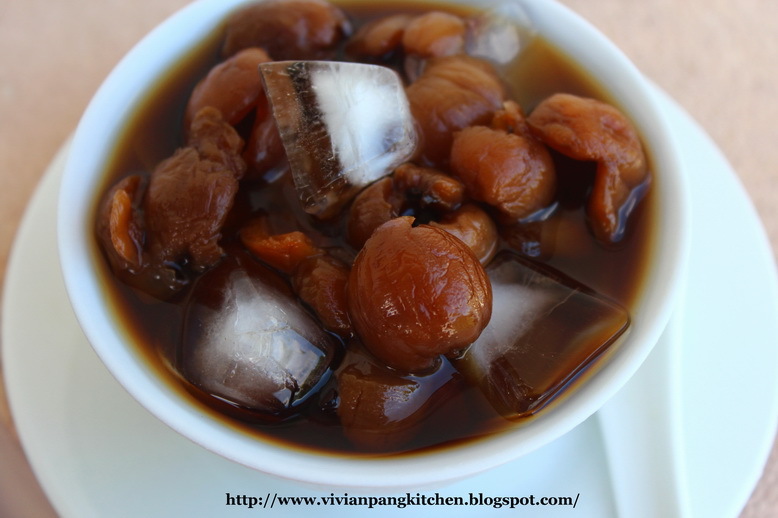 Take a bowl of ice cubes, then spoon some of the cooled longan infusion over, let it melt for 5 minutes and slowly savour it. Enjoy! *You can place the strained remnants back into an empty pot, put in 1 litters of water and bring it back to a boil. It still has a lot of flavour, just not as concentrated. Mmmm this looks like a very nice and refreshing drink! This is so good for a hot hot weather! And my mother often do it for me. It looks so delicious and very refreshing!